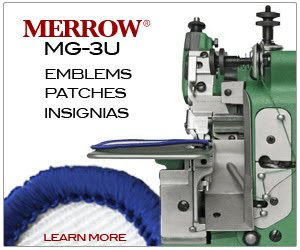 latest merrowed edge find... - Merrow Sewing Machine Co. This top is gorgeous. I've recently joined a SWAP (Sewing With a Purpose) and this gives me some great ideas. I don't have a Merrow machine (someday maybe) but I might be able to worth with my home serger some but it won't look as great as this. Anyways, it is beautiful!